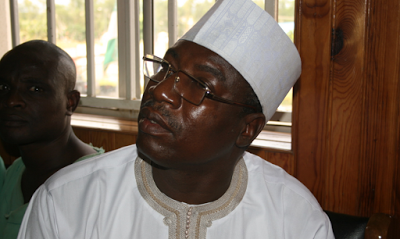 A Former commissioner for Finance and Local government and chieftaincy affairs during Boni Haruna’s administration in Adamawa state, John Elias, was yesterday sentenced to 10 years in jail by a Federal High Court sitting in Yola for stealing N51.5 million from the state coffers while he was in office. The presiding judge, Justice Bilkisu Bello Aliyu, ordered the Corporate Affairs Commission to shut down the former commissioner's company, Alhakim Nigeria Limited which he allegedly used in siphoning the state funds. Justice Aliyu delivered the judgement under section 3 (2) of the miscellaneous act and said the judgement will serve as a deterrent to occupiers of public office holders who may want to filter resources meant for developmental projects. The judge convicted Elias on count 3 and 4 charges and imprisoned him to 10 years on each charge though the two convictions would run concurrently.